A photo from the archives for today. 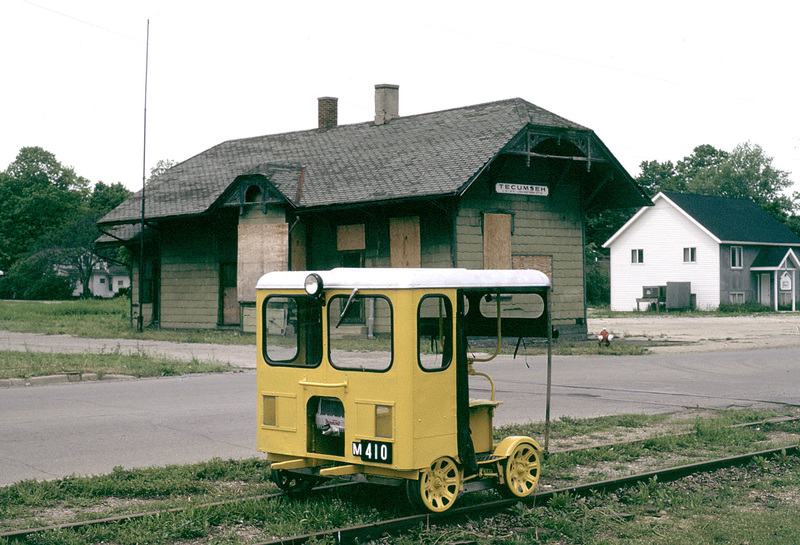 The author’s Fairmont M19-F-2 motor car, built for the Norfolk & Western Railway and delivered to Crewe, Virginia in 1950, passes the depot at Tecumseh Junction on 26 May 1986, running on the Southern Michigan Railroad Society’s (SMRS) track. The motor car, although originally an N&W car, was restored as a New York Central example to better fit its use on the SMRS. A New York Central logo would shortly be applied to the car’s sides, after this test run.